In December of 2017, Broadcom announced product end-of-life for hundreds of diode products, some of which were originally released by Hewlett Packard many years ago. Customers searching for replacement devices should consider the product portfolio offered by Skyworks Solutions. 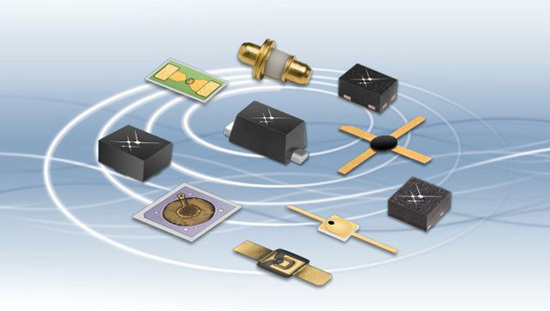 Skyworks’ diode product offering includes PIN, Limiter, Schottky, and Varactor Diodes for a wide variety of microwave applications including WLAN, infrastructure, handset, Satcom (LNB/DBS-CATV), automotive, military, aerospace and defense, test & measurement, metering, medical and RFID. Skyworks discrete silicon semiconductor products cover frequency ranges including low frequency, HF, VHF, UHF, L band, S band, C band, X band, Ku band, K band and Ka band. Products are offered in standard die, plastic packaged, surface mount technology (SMT), and wafer on film frame diode packaging options. Skyworks also provides high quality, high-reliability products for demanding application environments with their selection of epoxy and ceramic hermetic packaged diodes. MIL up-screened versions are also available for packaged and bare die devices. If you have Broadcom products (diode or other) that have recently been declared EOL, please feel free to contact CDI for assistance in finding the right replacement device. We will help you identify, qualify, and obtain the devices you need to keep your production line running.